Presented with three key ingredients – a whole chicken, a bag of carrots and a couple of pounds of Maris Pipers – it would be easy to go for the obvious. And I do love a mid-week roast. But I’ve been challenged* to come up with something a little different so I’m going for lighter version of a hot pot made from a whole poached chicken and lots of veggies. It’s a one pot recipe which, although it takes a little time, isn’t complicated – just three main stages. It’s also at least two recipes in one as it makes an amazing stock/broth and I think poached chicken is even better than roast for leftovers as it doesn’t dry out. Put the chicken on a board, take off any strings etc and cut through the skin between the legs and breasts just to open it out a bit. Then press down heavily on the breast to flatten it a little – just so it’ll fit in the pot better. Pop it into a large pot and add in some veg, herbs/spices and seasoning. You can be flexible here, but good things to include are: roughly chopped onions, carrots and celery; a crushed clove of garlic or two; the tops and tails off some leeks; a bay leaf and slice of lemon; coriander seeds, fennel seeds, dried chilli, star anise; parsley stalks, rosemary, thyme or tarragon; black peppercorns and a good few pinches of salt. As a minimum, an onion, some carrots and lots of salt and pepper are a pretty good start. Top up the pot with water and bring to the boil. Simmer this gently for between and hour and and 90 minutes – cut into the thickest part of the chicken to make sure it’s cooked. 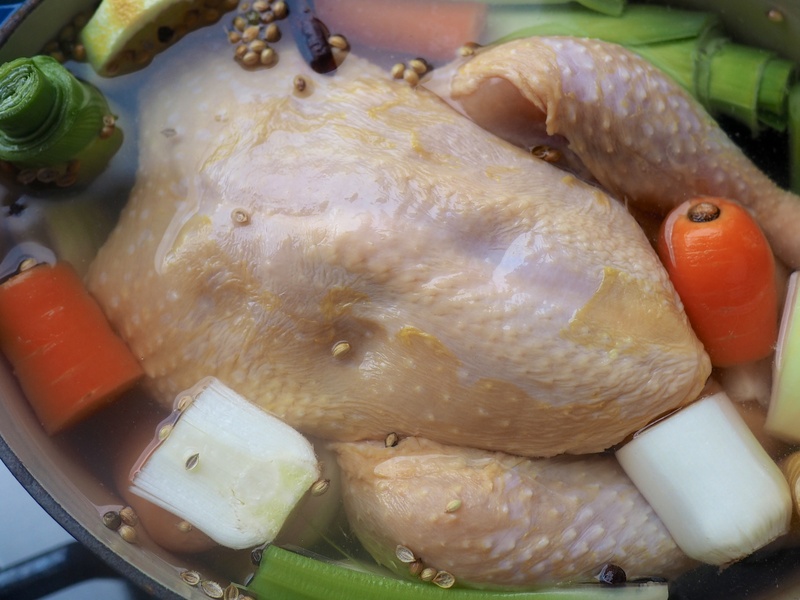 Let it cool in the stock if you’ve time as this will keep the chicken moist and improve the flavour of the stock. Remove the chicken and then strain the stock into a clean pan and keep it simmering. Pick off enough meat from the chicken to go into the pie and save the rest for a risotto, curry or just a really good salad. While the chicken is poaching, heat a little butter and olive oil together in a pan (or if you’ve a pot that will go from stove to oven, use that) and fry a diced onion, couple of sliced leaks and carrots. Keep the pieces big and they won’t go too soft in the pie. Once the onion’s translucent, pop the lid on and let the veg sweat over a low heat for another 15 minutes to build up the flavours in the pan. 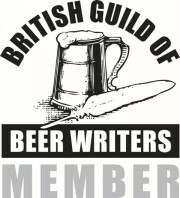 You can, if you have some, add a slug of white wine at this stage too. To turn this into the sauce for the pie, add a tablespoon of plain flour to the veg and stir in well for a minute. Add ladles of stock, one at a time while stirring well until you have a creamy sauce – simmer this for about 2o minutes. Add a handful of frozen peas. Check it now for seasoning and maybe add a few fresh thyme or tarragon leaves. I’d stir in a dollop of creme fraiche now to make the sauce super creamy. Add the chicken in and let it sit over a low heat for a few minutes to come together. While it’s doing that, peel and thinly slice about half a dozen potatoes ready to top the pie. If the pan you made the sauce in can’t go in the oven, transfer the mix to a pie dish. 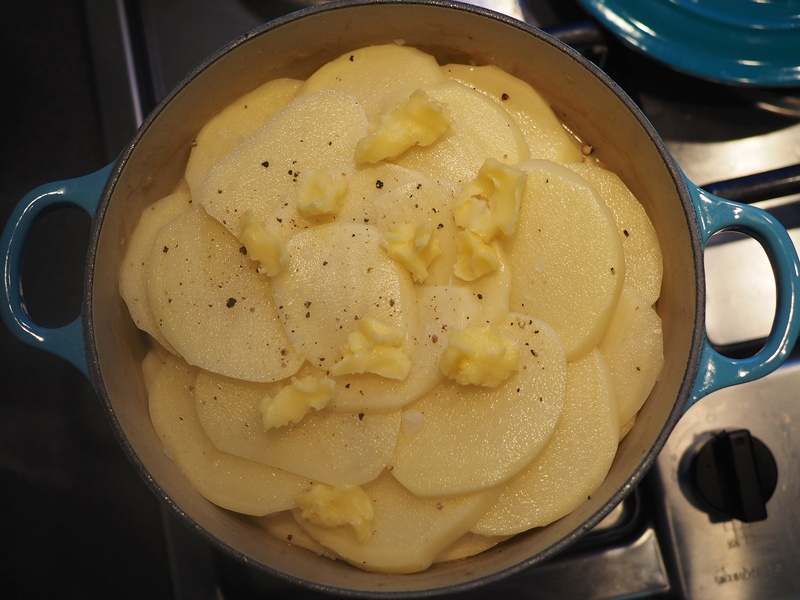 To top the pie, layer up overlapping slices of potatoes with a good sprinkle of salt and pepper between each layer. Dot the top with little bits of butter to help it crisp up and pop in in the oven – about 180degC for around 45 minutes. Start it off with a bit of foil over it for the first 20 mins just to help the spuds to cook through. It’s ready when they’re golden and crispy on top – it may need a few minutes under the grill to finish off. 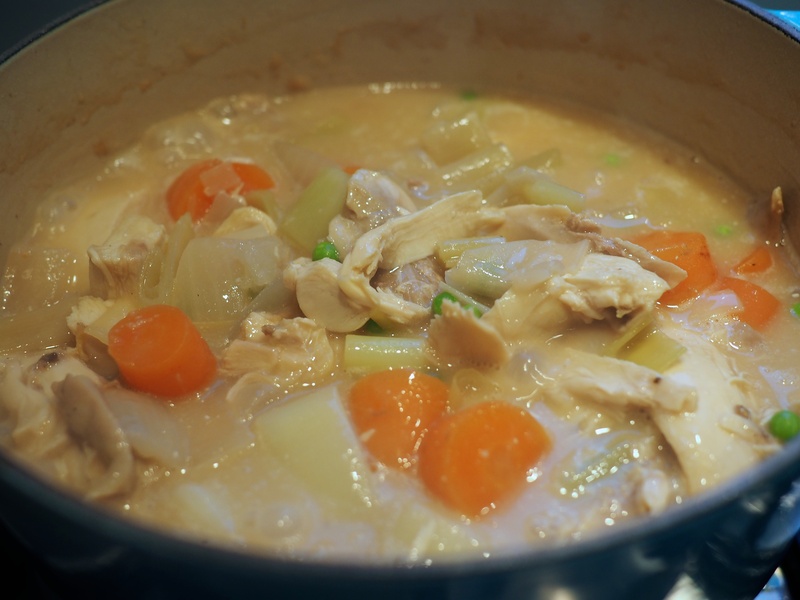 That’s it – creamy chicken and veg hotpot, lovely leftover chicken and a pot of fantastic stock all from three key ingredients. 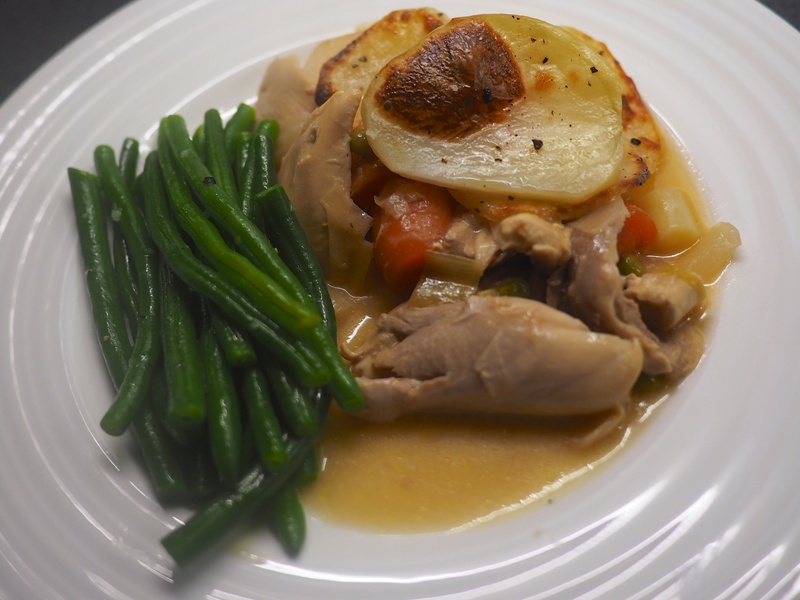 *This challenge was set by Sainsbury’s through their blog club and they kindly provided the ingredients – including the ‘by Sainsbury’s’ whole chicken, carrots and Maris Piper potatoes.